Before I do the review I feel its helpful to say what kind of angler I am. I would consider myself a casual angler, not that I don't go a lot just I don't do massively long sessions like some of the bank tramps of our carp generation. I go roughly on average three times a week, mainly just short sessions during evening bite times with the odd day and night trips. I won't go into why I don't go more as it doesn't help this review. I have been fishing for around 15 years, I've grown up watching the carp scene develop into the cash cow it is now. My skills are average, I know how to tie a decent rig plus from my sort sessions I have increased my water craft, due to it being essential for me to catch. Ok now you know who is reviewing this bait lets get into it. I received a parcel from Royaly Boilies two weeks ago which was exciting, however I was instantly disheartened by the amount I got to test. I received around half a kilo along with half a pot of pop up hook baits. I'm going to be completely honest and say this instantly decreases the accuracy of the review since I only fished with the bait for one three hour session. 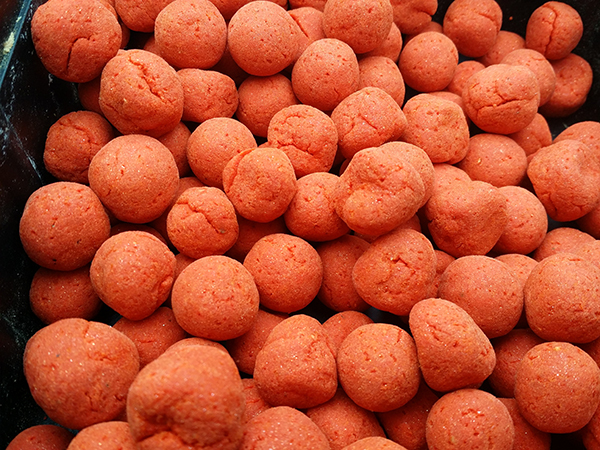 Soon as I opened the bag of bait I could smell the instant aroma of fruit with a softer creamy ending, reminding me instantly of classic carpy smells such as scopex, Ib, fruit and sweetness. I wasn't told the exact combinations of attractors but all smelt good to me. I even tasted the bait which tasted very sweet on my tongue. 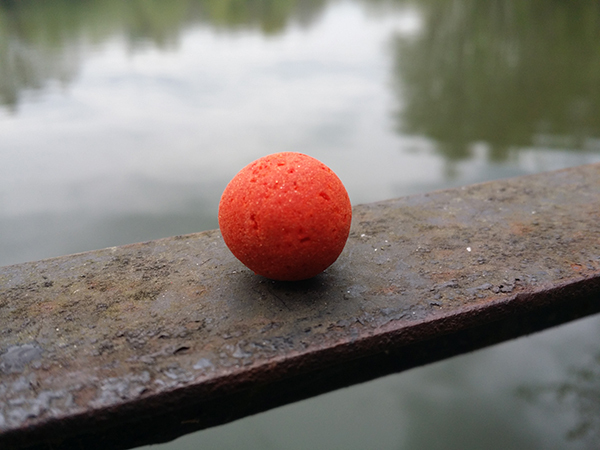 Being hand rolled gave the bait a rugged unpolished look, an advantage over mainstream bait due to there not being one shape for a carp to be scared off, but makes it hard to use these boilies with a throwing stick. 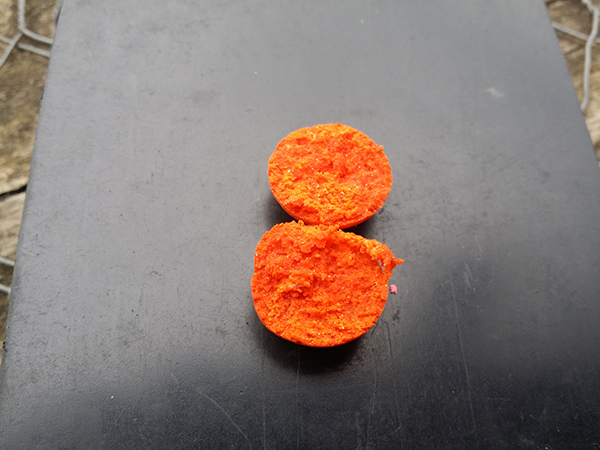 A deep orange colour with specks of shiny particles which look to me like edible glitter, I class this as gimmick to fool the angler rather than aiding a carps choice to eat the bait, giving no nutritional value to the fish. Texture is firm with a slight give if squeezed, finally crumbling in your finger tips which is perfect. No crunch factor was present in the bait, I'm a believer that for carp to get addicted to a bait a crunch dramatically helps. 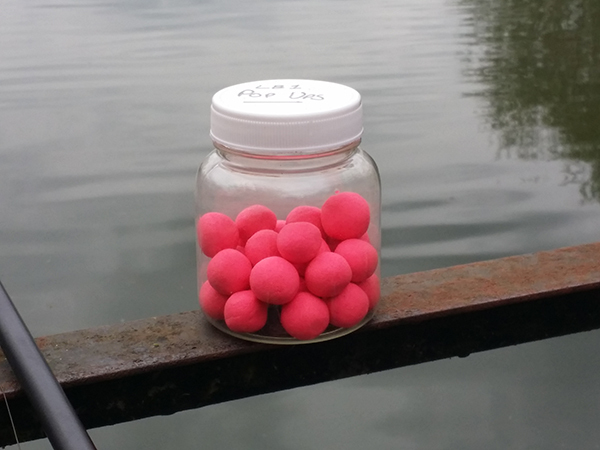 You can use the standard boilies as hookbaits they're already hard enough. Pop ups in my mind were bang on. 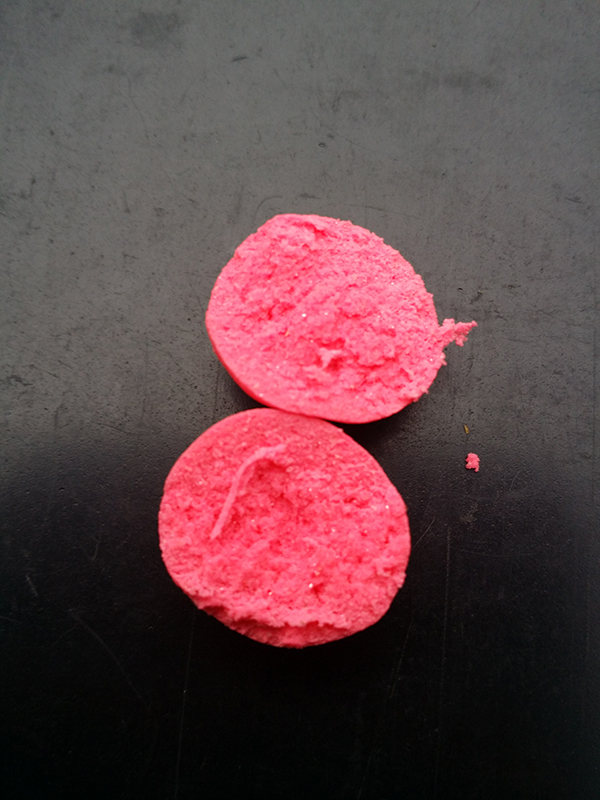 Hand rolled bright pink, pungent, very boyant pop ups. Perfect everything you could ask from a pop up they give. Within a hour and half my rod screamed into action just as the light levels dropped on the single pop up. Striking into a angry fish who was stripping line of my reel trying to head round the island, I instantly knew it was a good fish. After a ferocious fight the carp was landed. A short but very fat mirror was in the net. 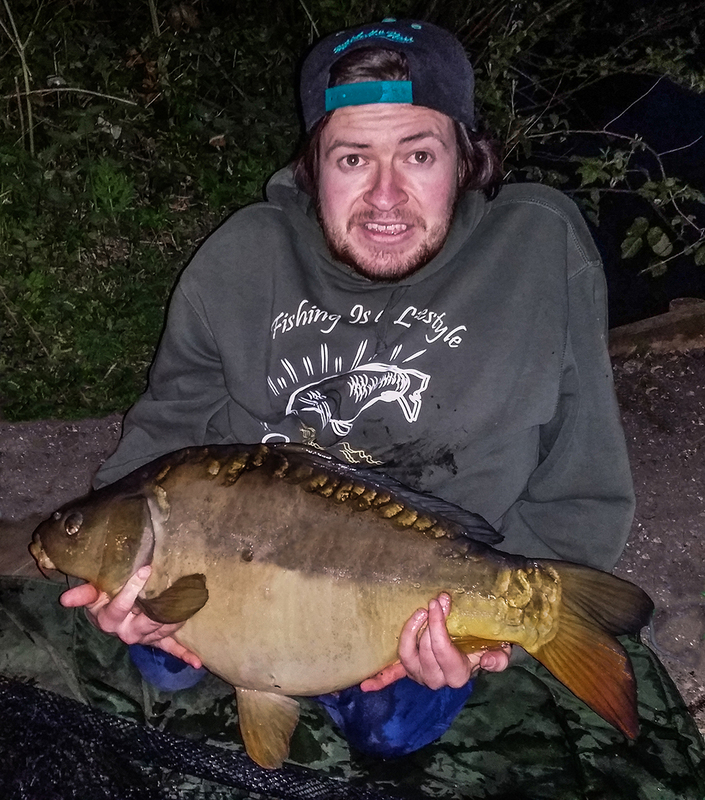 Great hook hold in the bottom lip and the weight was a cracking size for this lake, 17lb so I was chuffed and happy to catch on a new bait. 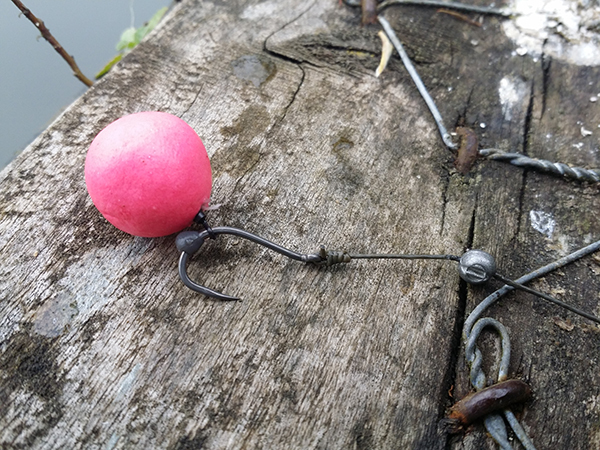 I conclude that this bait will catch carp consistently well from day ticket waters because of the instant strong attraction the bait clearly has along with the cracking pop ups. £9 per kilo is on the expensive side for the basemix you are getting however it is expected since they are hand rolled making the manufacturing process slow and time is money. I wouldn't advise this bait to be used for a baiting campaign on a low stock water. 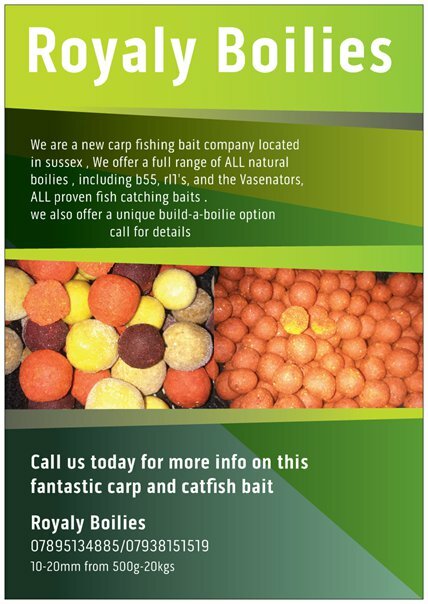 I have doubts over the nutritional value of the bait and big carp will notice and not want to eat the bait, also Id say the company would struggle to roll the amount of bait you would require. I caught a good fish using the bait so I would use it again however with just 3 hours and half a kilo I couldn't commit to using the bait over what I can get for £9 of my money.